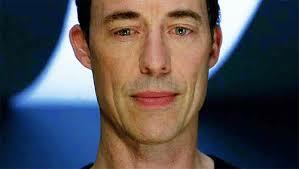 I propose a new definition for the word Conundrum: Harrison Wells. Jesus, Campbell…hyperbole much? Anyways, my point is this: WHO THE HELL IS HARRISON WELLS! It’s a question being asked by pretty much anybody watching the CW’s “The Flash”, and the writers do an amazing job of giving us the finger and absolutely nothing to work with. Is he Reverse Flash? A future version of The Flash? Some other hero/villain? Or is he an entirely new figure from (obviously, at this point) The Flash’s future? Not answering these questions, the writers lead us to other ones: why is Wells so interested in Barry Allen? Was the particle accelerator really an “accident”? Is Wells pulling some strings behind the scenes? It is the one thread throughout the series’ brief run that is keeping it going, and that may be a truly good thing for the show in the long run. 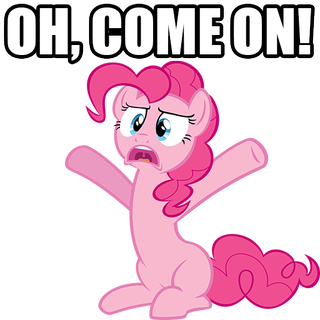 Look, in my previous posts I’ve made it known that while I’m a fan of the show, I’m not particularly impressed with it at this point. But one part of the show that has continuously intrigued me is Dr. Wells. 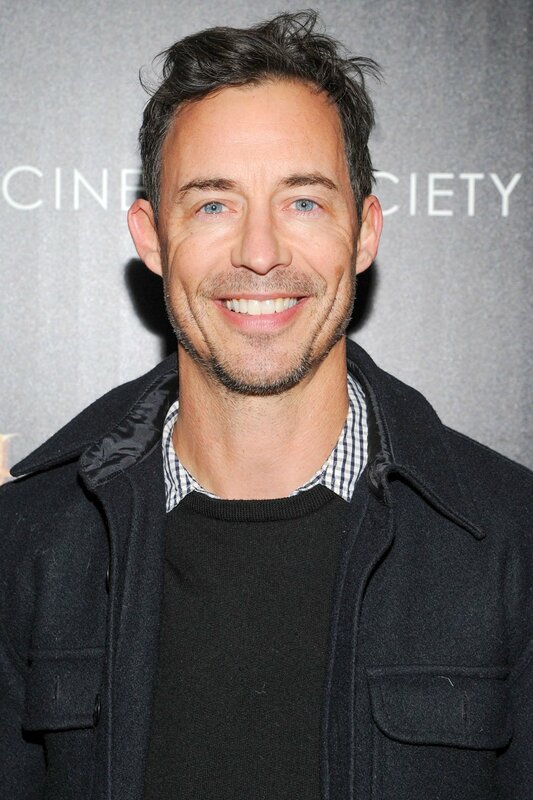 I’d like to think the writers knew that perhaps they were rushing into production and used Tom Cavanagh’s brilliant acting as a buffer until they can figure out exactly what they’re going to do with the show. This episode is a prime example of why that is a great idea. In “The Sound and The Fury”, we realize pretty quick that this is going to be a Dr. Wells episode. It’s a tired cliché of corrupted former student faces off against his mentor in a game of chess (Star Wars Episode III, anyone?) 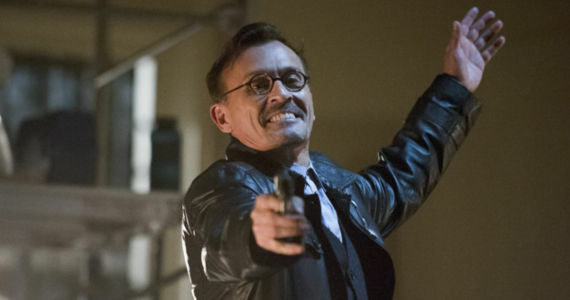 that has new life breathed into by some great acting and the uniqueness of Dr. Wells character. Wells’ former protegé- brilliant scientist and disowned billionaire Hartley Rathaway- was injured by the particle accelerator explosion and engages in a game of chess to try to draw out and beat his former boss. Yes, I’m leaving you mostly out of this review, Barry. Get over it! Meanwhile, Iris West has finally achieved her dream of being a paid journalist (*cough* blogger turned paid journalist *cough*). But when she starts the job she finds it is nothing like she imagined. As a journalist (okay, unpaid blogger) I found Iris’ story really relatable and nicely done. It was given just enough screen time to be relevant, but not enough to take away from the main story. The one big problem I had was when Iris found out she got a job with the Central City Picture News. Her dad says someone from the paper called, takes 10 seconds to say something to Barry and bam! She has already called them back, talked to them, got and accepted the job offer, thanked them and hung up. Unless it is revealed that Iris is herself a speedster, that would be impossible. But the rest of her story was great. She is absolutely deflated when she learns that she was only hired because it is thought she had an in with The Flash (I have an in with The Flash if…y’know, if anybody’s looking…). Her mentor, Mason Bridge, turned out to be a complete tool. And she is only thought of as “that blogger who talks to The Flash”. Her stories are shot down in favor of those headline grabbing titles and it is discouraging to her. It’s analogous to any blogger/writer/journalists discovery as they go along: you’ll only get paid if a lot of people read your stuff, and people only read stuff that grabs their attention. In real world terms- doing a writer up on the ethical implications of the Supreme Court hearings about gay marriage won’t get you paid. Writing about The Kardashians latest hijinks will (don’t blame for putting that name in my tags section…gotta get hits somehow!). I particularly enjoyed one moment where Mason Bridge calls out those stupid scenes in “Chic Lit”- y’know, where they say they deserve respect cause they’re spunky and dedicated and talented. Listen, in the real world, ya gotta pay yer dues. WHO THE HELL ARE YOU!!!!!!! 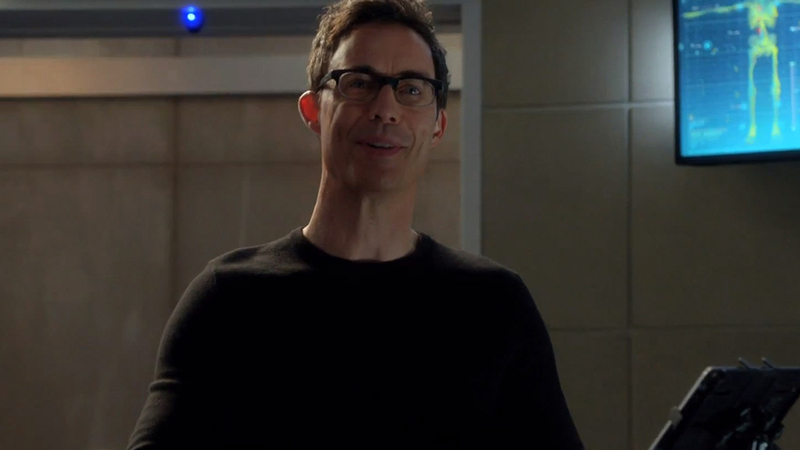 Now back to the major question at hand: WHO THE HELL IS HARRISON WELLS? Well, this episode goes a long way to lend some solid theories as to who he is, but nothing conclusive. He is finally shown as being some sort of Speedster. This was almost a forgone conclusion, as at the end of “The Man in the Yellow Suit” he shown to be in possession of…well the Yellow Suit. Also it was shown that his Speed Force registers as red, which according to my knowledge of DC Comics and The Flash means that he taps into the Reverse Speed Force which, of course, would lead us to believe that he is in fact Reverse Flash. But I don’t buy into that. It would just be bad writing. If it ever is revealed that Wells is Reverse Flash, it would take whatever wind was in the sails of this series out. So for now, I’m remaining solid in my position that Wells is a future version of The Flash. Or Kid Flash Bart Allen. Or some other Speedster. Okay, I’m remaining solid in my position that Wells is not Reverse Flash. 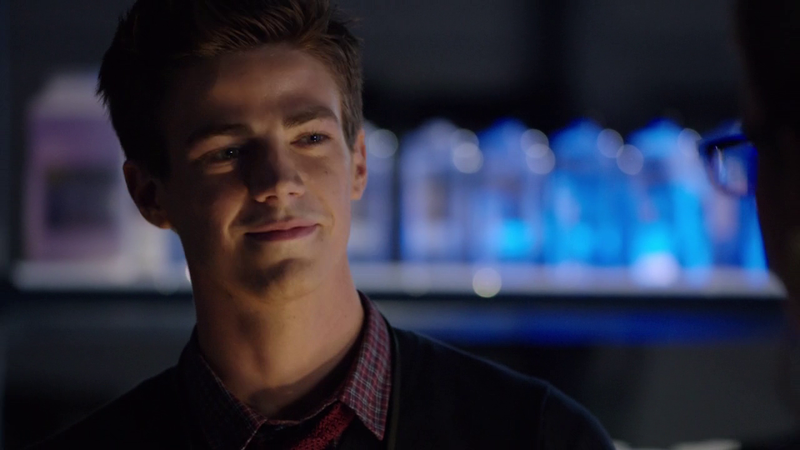 Man, I haven’t felt this fulfilled by a Flash episode since…well since The Flash was in Arrow. This episode gets it right. It is a writing formula that I hope they emulate in the future. 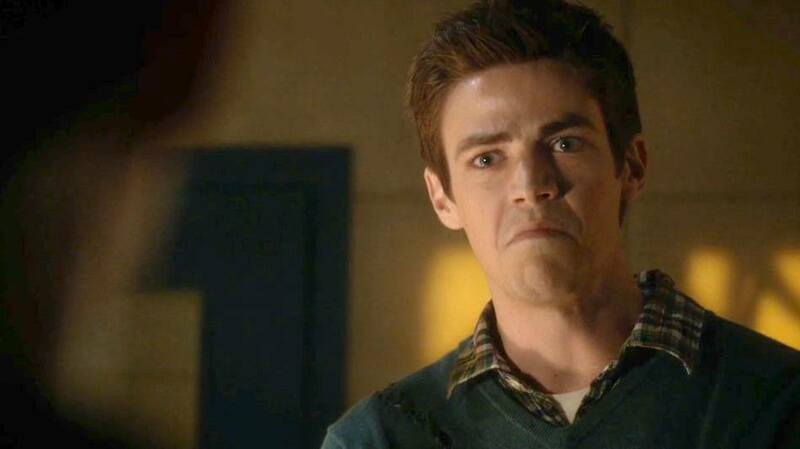 Barry Allen (or Wally West) was never a particularly dark character, so you can’t paint him dark like you can with Ollie Queen or Bruce Wayne or John Constantine or Jim Gordon. So don’t try! Let him be his quirky, funny, over-confident self and let the darkness fall in Wells and his past (future?). If you’re gonna give Barry some darkness, let him grow into it first. This episode also excels in fleshing out some characters that have been neglected by in large up until now: Cisco and Caitlin. Sure Caitlin had that thing with her boyfriend being dead-but-alive-again-but-like-zombie-kind-of. But Cisco has just been the guy who names meta humans. Luckily given this brief moment to shine, Carlos Valdez knocks it out of the park. It isn’t so much that Cisco is dark it’s that he’s damaged, he’s hurt. He’s the kid who watched Power Rangers and is now being forced to realize that superheroes need villains, and those villains are really, truly dangerous people. Andy Mientus steps up as well with his chilling rendition of Hartley Rathaway, a.k.a. The Pied Piper. The call a somewhat controversial play with him: they make him gay and make him a total jerk. Now, I can see that the one doesn’t relate to the latter, but they run the risk of upsetting the LGBTQ community a la Buffalo Bill. However, Mientus and the writers downplay the fact that he is homosexual and in fact it barely gets mentioned at all other than in passing as the reason his parents disowned him. I call that a victory for the LGBTQ community- it’s no longer a big deal that a character is gay. In any case, Mr. Mientus plays the evil genius with a sharp and sinister edge, a cold and calculating villain only concerned with winning his chess match. The chess match thing could have easily come off as clichéd, but luckily the writers were able to avoid that by some witty dialogue. In the end, this is a Wells episode through and through. Yes he is a Speedster, but something is limiting his ability to access the Speed Force. His mention of tachyon particles may perk up the ears of some of us physics minded folks, as we know it is speculated those things can travel faster than the speed of light. And anyone remotely familiar with The Flash comics has heard about the Flashpoint Paradox and the various Flash’s adventures through time. 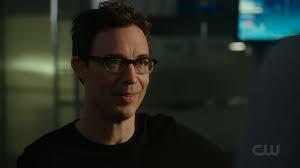 As usual, Tom Cavanagh plays Dr. Wells with a cold familiarity, a strange normality. I think I can speak for the entire fandom when I say I’m excited to see where this goes! There, I put another image of you in my article, Barry. Happy? Tom Cavanagh hits it out of the park again with his portrayal of Dr. Wells, but an emphasis need be given for this episode, as his Dr. Wells is exposed and a bit more raw. I look forward to seeing Andy Mientus again in the future as the nefarious Pied Piper. Getting to see a different side of Cisco was refreshing. Still feel a serious lack of quality EddieThawne time. Given the fact that, y’know….HE IS REVERSE FLASH IN THE COMIC BOOKS! Iris’ scene where she gets the job was just straight up poorly done. Unless of course she is a Speedster. In which case they really need to clarify that that is a possibility. Slightly predictable plot: former protege knows his mentors moves so well he can predict them, so he gets caught, infiltrates their lair, escapes and then is caught again because he forgot to take into account that some cars have Sirius Satellite Radio. WHO THE HELL IS HARRISON WELLS! Okay, I know I bring up commercials a lot, but I hate that Hot Pockets commercial where the guy is singing a bastardized version of Foreigners “Hot Blooded”. I mean I can just see a bunch of middle aged, 1% Hot Pockets executives at a company function dancing, laughing and clapping to this song because they think they’re cool and that it was such a “great idea”. Okay, Gideon sounds familiar in Flash cannon…but I can’t find anything. Maybe I’m just going crazy. Maybe its my key word and I’m secret CIA agent. But probably it’s just a really cool name the writers wanted to use. Okay, I seriously can’t get over Iris’ phone call to the newspaper. She would have to be a speedster to get it done that quickly! And that’s not even taking into account she was calling them at night! Or the fact that they probably let it ring a few times!